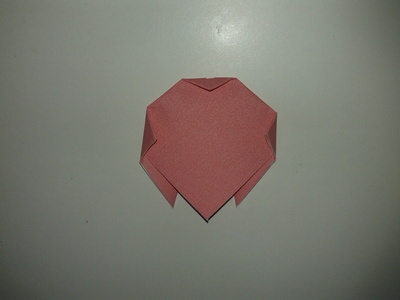 This is a very easy way to make tulip paper flowers and can be quite handy to learn. 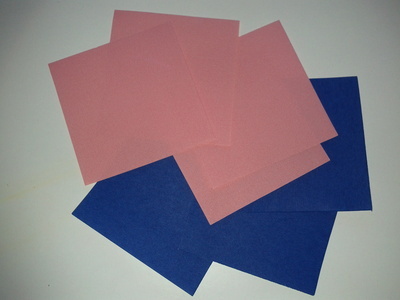 They can be used in cards or other art work. 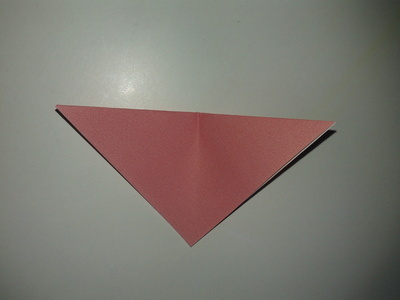 Fold the paper diagonally, and again. 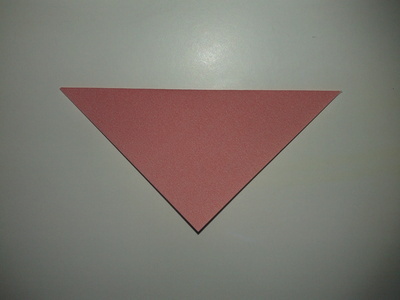 Open and fold the 2 ends upwards, leaving a gap. 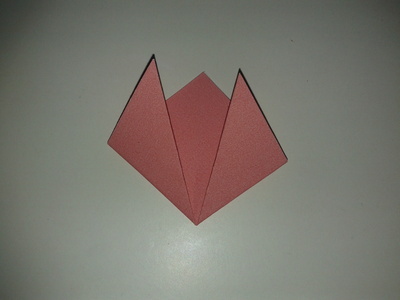 Turn over and fold the 3 pointy bottom ends. 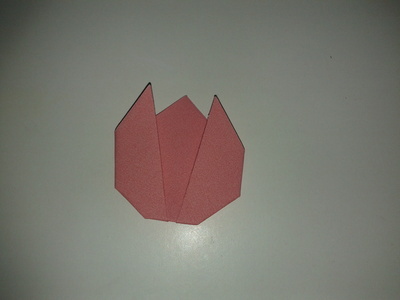 Flip over and here you have your tulip head. 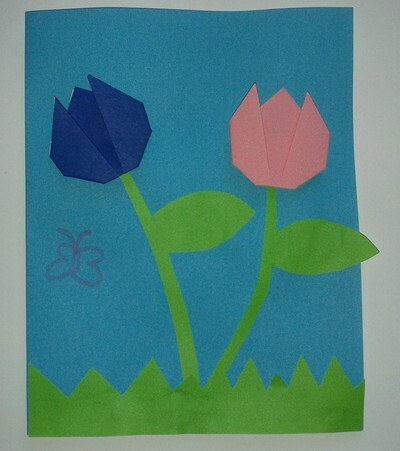 Now complete the tulip flowers by drawing the stems.